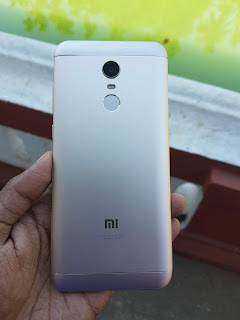 Xiaomi Redmi Y2 has a design similar to Redmi Note 5 Pro. 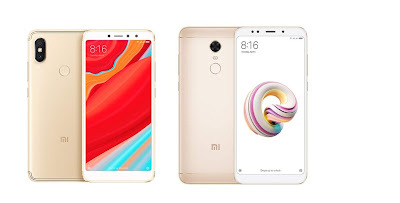 Xiaomi Redmi Y2 has polycarbonate body with metallic finish whereas Redmi Note 5 has Metal body both phones have a fingerprint scanner on the rear. Both phones have 18:9 Display Redmi Y2 has HD+ Display resolution whereas Full HD+ Display Redmi note 5. Both phones come with 2.0 GHz Octa-Core Snapdragon 625 Processor with Adreno 506 GPU, 3GB of RAM with 32GB storage and 4GB RAM with 64GB of internal storage. Redmi Y2 has Dedicated MicroSD card whereas Redmi Note 5 has hybrid SIM slot. performance on both phones will be similar. On Camera, Redmi Y2 has a 12MP rear camera with LED Flash, 1.25μm pixel size, PDAF, secondary 5MP camera and 16MP front-facing camera with LED flash, Note 5 has a 12MP rear camera with dual-tone LED Flash, 1.25μm pixel size and 5MP front-facing camera with LED Flash, Both phones have support for 4G VoLTE. Redmi Y2 has 3080mAh Battery compared to 4000mAh Battery which can easily last for more than 1 day. Both phones do not support the quick charge. Xiaomi Redmi Y2 comes in Grey, Gold and Rose Gold color Priced at Rs 9,999 for 3GB RAM and Rs 12,999 for 4GB RAM model. Xiaomi Redmi Note 5 is priced at Rs 9,999 for 3GB RAM and Rs 11,999 for 4GB RAM model both phones have snapdragon 625 processors, Redmi Note 5 has FHD+ Display, Bigger Battery front camera is average compared to Redmi Y2. Redmi Y2 Camera seems to better just for Camera will you choose Redmi Y2 over Note 5?